A modern city room complete with everything you need for a relaxing stay. Connect to the free high-speed wireless internet, perfect for sharing your latest travel photos! Charge all your gadgets and gizmos with plenty of power outlets fitted with international plugs. Enjoy complimentary continental breakfast to give you a great start every morning with a range of hot and cold drinks, breads, pastries and cereals. 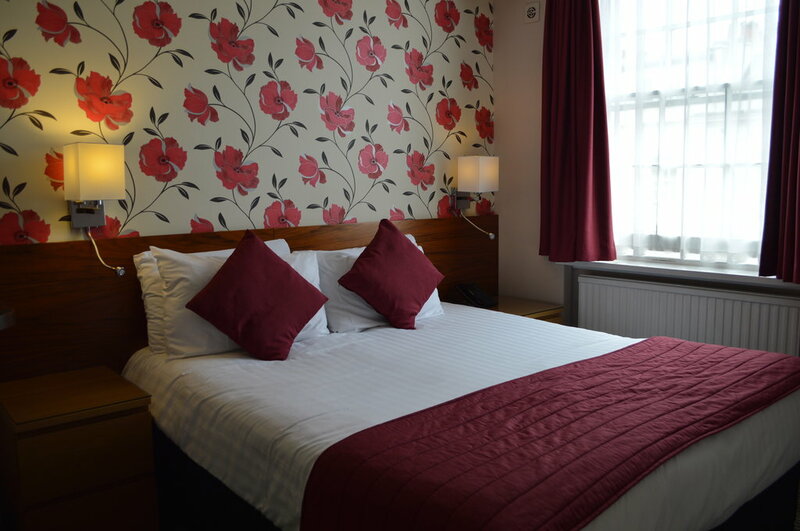 We are located in the heart of London and within easy walking distance of many top tourist attractions. As a consequence of our superb location, our rooms are compact. In order to make the best use of the limited space the shower and WC facilities are located just outside the room with your own key exclusively for your own use. And please travel light as we do not yet have a lift.